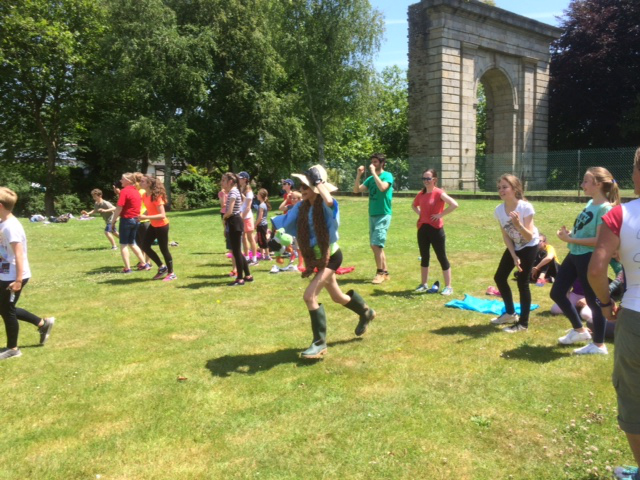 For most schools in Britain Sports Day marks the end of the academic year and so for the past two years the International Section has held a Sports Day to mark the end of term and the end of House activities. Students in both college and lycee are encouraged to participate in the afternoon activities, which include various team competitions such as rounders, fancy dress relay, egg and spoon races, the challenging upper body strength wheelbarrow race and the agility testing 3-legged race. . It is a great bonding experience for all involved, as students (and teachers!) from different Houses and grade levels have the opportunity to interact and compete with each other.